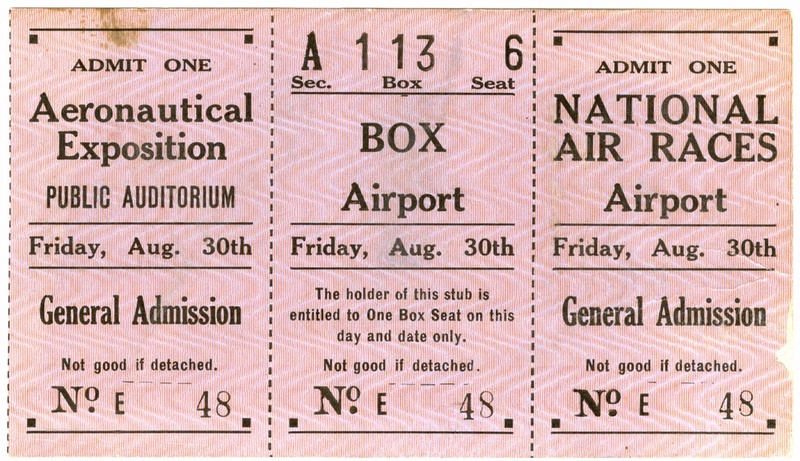 Visitors to the 1935 National Races had plenty of opportunities to see aerial competitions and exhibitions. Visitors to the National Air Races over the Labor Day weekend watched air racing and stunt flying from the grandstand, searched for their favorite Hollywood stars in the crowd, and viewed the latest technologies at the Aeronautical Exposition. National Air and Space Museum, Smithsonian Institution (NASM 9A06225).